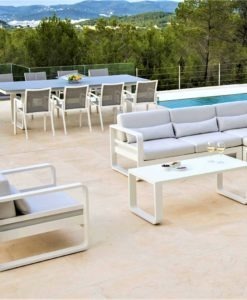 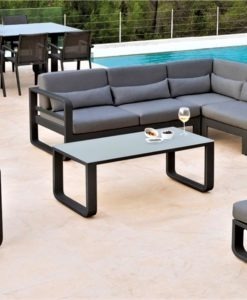 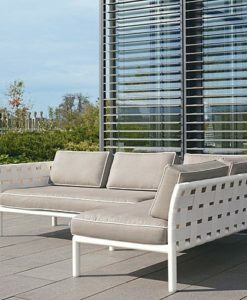 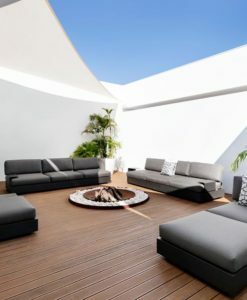 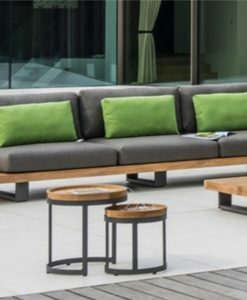 The Peter Modular Setting is designed to enable users to configure their living set to match their own outdoor space. 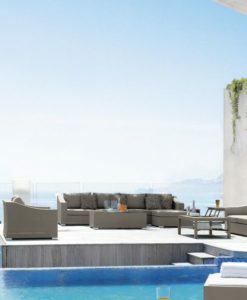 The large modular pieces allow for “L” shaped configurations in either direction. 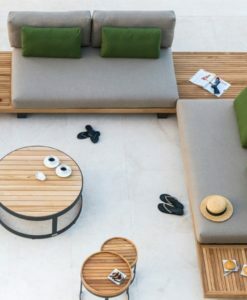 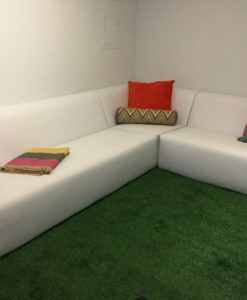 The seat is deliberately designed to be deeper than most settings, with the extra depth freeing up space to allow users to adjust their seating positions, be it having their feet up on the sofa or laying down. 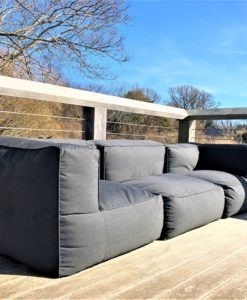 Coupled with scatter pillows acting as backrests and armrests, this set provides a relaxed, casual setting, and can even act as a daybed. 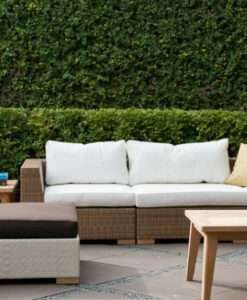 The white-wash/patina finish of the synthetic wicker makes for a summery feel. 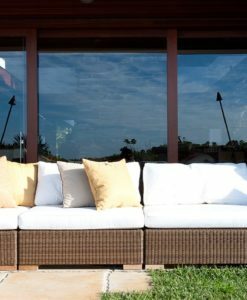 The 3mm thin material is hand-woven neatly on to an aluminum frame, which is then secured onto a thick Distressed A-grade Teak apron and leg. 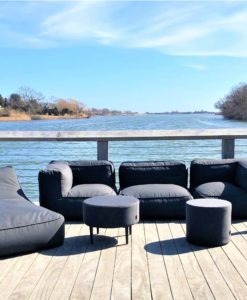 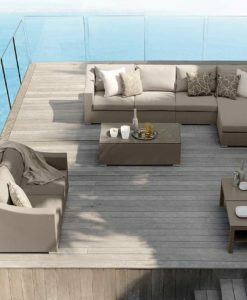 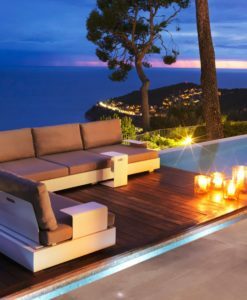 As the A-Grade Teak ages in the weather, it will turn silvery grey, achieving a similar tone and mood to the synthetic wicker, and growing in character over time. 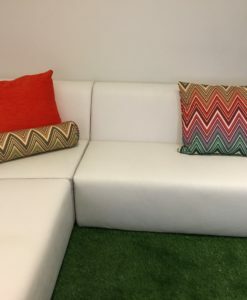 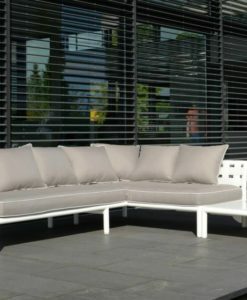 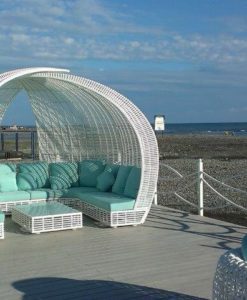 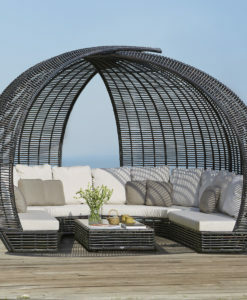 Synthetic rattan weaving on aluminum frame QuickDry foam & outdoor cushions.